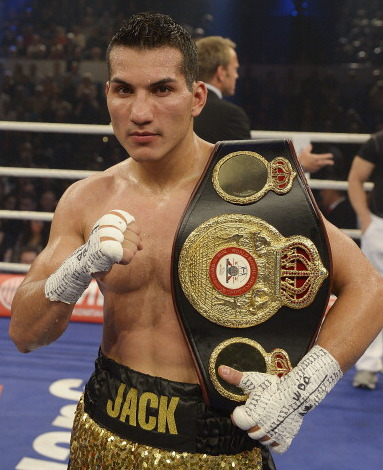 WBA I/C jr middle champ "Golden" Jack Culcay, 13-0, will defend the title December 15 in Nuernberg on the Sauerland promotion at the Arena Nuernberger Versicherung headlined by WBO supermiddle king Arthur Abraham. Opponent for Culcay have not been announced yet although Spanish sources have indicated that veteran Ruben Varon will be the one. Culcay (pictured) is currently in training in Hamburg under fitness coach Moritz Klatten, who also manages "Golden" Jack, and Ismael Salas.